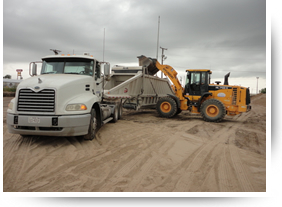 Rio Grande Hauling is serious about its commitment to provide clients with exceptional transportation services, from first contact with our administrative representatives and dispatchers to the safe and punctual delivery of shipments. We believe our success is dependent on the health and productivity of our employees and our customers. 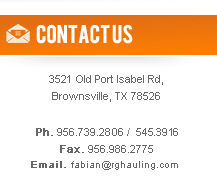 RGH’s dedicated team provides clients with economical solutions to meet their shipping needs on schedule. ©2013 Rio Grande Hauling. All Rights Reserved. Design by: StudioMedia Agency .